This week's Inlander story, an exploration of Councilmember Breean Beggs tendency to find unique "third-way" solutions to messy problems, had the classic alt-weekly misfortune of being sent to press right before big news came out that dramatically changed the narrative. At just after 5 pm Tuesday, a letter went out answering one of its big questions — would Mayor David Condon support his proposal to hire a new lawyer to allow an independent investigator see privileged documents? — with a big fat no. Since then, the salvos of sharp words between Condon and City Council President Ben Stuckart have dominated the headlines. But it's worth momentarily putting the latest battle on pause to note that, in our interviews for this week's Inlander story, Beggs gave the city an unsolicited compliment. 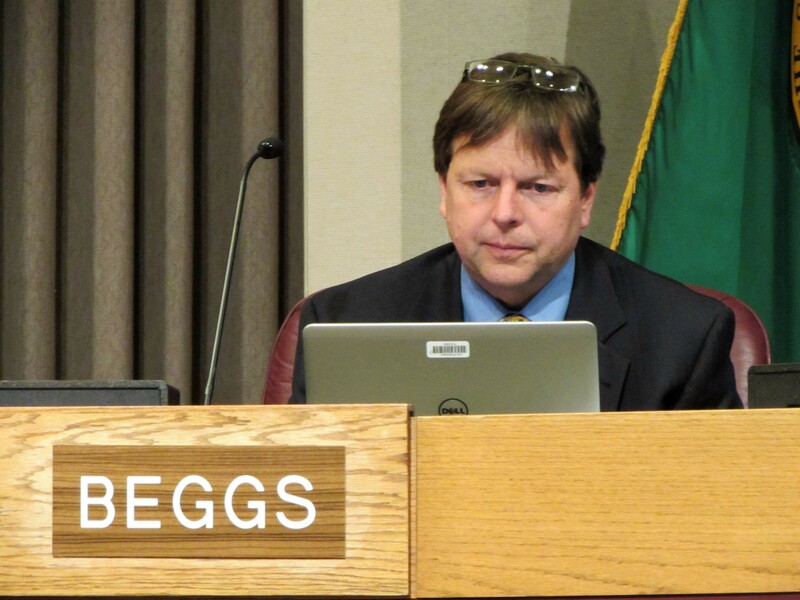 "I've been very pleasantly surprised at how effective I think city government is working, actually," Beggs says. "And how many people — they're using data, they're integrating things. Trying to think, and playing well. Really smart people, working really hard." Long before joining the city council, Breean Beggs had often been a critic of the city from the outside. He sued the city on behalf of the family of mentally-disabled janitor Otto Zehm, who died after being beaten by police. He sued the city when he found they were impounding cars of people without a drivers' license. He sued the city after a City of Spokane-owned pickup truck hit an old lady crossing the street, revealing troubling ways the city was handling its risk management. And each time, he's used these lawsuits as a way to push the city to change its policies. "In the past I've been one of the people who was — not critical of the government overall, but generally I was involved in situations where there was a problem — so I think some people thought I would continue to be a critic," Beggs says. "Actually, I'm a big fan of a lot what we're doing." In particular, he's been impressed by Katherine Miller, director of integrated capital management, in the Public Works department. "The way they're getting projects done, leveraging the grants, thinking about all the aspects, is admirable," Beggs says. In several departments, he sees the city relying on what he calls a "triple bottom line" approach, a focus on cost-savings, community relations and long-term planning. This was clear, he says, when reviewing the list of projects for the street levy. "They have a plan for some streets that need to be patched — what do they call it, 'chip sealed?' — and other ones they're digging down, like with the Monroe Street hill," Beggs says. "They have a plan for it. They have a decision-making grid for which materials they're investing money in." He also gives a shout-out to the business development incentives matrix in the department of planning, a big list of possible goodies that developers can take advantage of, depending on the type of project. And Beggs appreciates the use of that sort of algorithm. Like Condon, Beggs portrays himself as a person driven by data, studies and rigorous analysis. He prefers this sort of decision-making, because it's not just relying on a gut feeling. "It's not from the gut, it's not just to help somebody who knows somebody who knows somebody who knows somebody. And it's defensible," Beggs says about this kind of process. "In politics, there are two things that are very subjective. One is, who you know. And the second is the winds of political outrage of a particular day. And I feel like that gets government [off-track.] But if you stay on data and process you will generally get to the right answer." Who's best positioned to bring vision and leadership to the Spokane County Prosecutor's Office? How we can reduce crime, save money and heal people, right now. Innovative ways to fix the Spokane Police Department and rebuild trust. Their budget is half what it once was - but Center for Justice founder Jim Sheehan expects a new evolution.